Installation: As electric cars increase in number and gain popularity, the demand for electric car charging stations in North Scottsdale, AZ also grows. Eavenson Electric Co. can install a charging station at your home, business or parking garage, and we’ll work to ensure that its placement fits your needs perfectly. Repair and maintenance services: Electric car charging stations, like any other type of electrical equipment, can malfunction on occasion. When this happens, you should trust the pros at Eavenson Electric Co. to provide the necessary repairs. 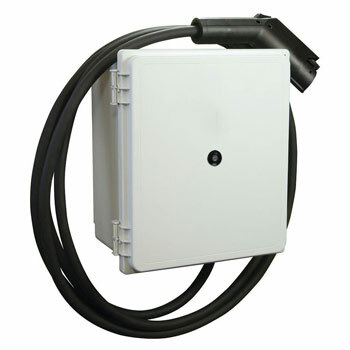 We also offer maintenance services to ensure your charging station continues to work properly. Total compatibility: Electric car charging outlets in North Scottsdale, AZ, as installed and maintained by Eavenson Electric Co., are designed to work with all electric vehicles, including the Chevy Volt, Nissan Leaf, various Tesla models and more. Rest easy knowing that any electric vehicle can visit your charging station! Large service area: Are you located outside of North Scottsdale, but still interested in having an electric car charging station installed on your property? Eavenson Electric Co. also serves clients in Carefree, Cave Creek, Phoenix, Glendale, Sun City and Sun City West, AZ. Give us a call today to schedule a visit to your site! We are an approved electrician directly approved through Tesla to install electric car charging stations throughout the Phoenix Metro Area. Investing in an electric car charging station in North Scottsdale, AZ and the surrounding areas can offer considerable convenience as well as peace of mind for you and anyone who visits your property. Get in touch with Eavenson Electric Co. today by calling 623-428-1351 and speak with one of our expert technicians to learn more.